Although I’m a huge fan of Diptyque, this is my first full-sized Eau de Toilette from the line. I have a few of the Solid Perfumes (Eau Duelle, Essences Insensées and L’Ombre Dans L’Eau) and Roll-Ons (Geranium and Lavender) which I really like. The perfume bottles are quite stunning but I’ve accumulated quite a few deluxe-sized samples from various gift with purchase promos which have lasted me a very long time. The bottles are quite stunning with a rounded sturdy glass jar and black cap spritzer. 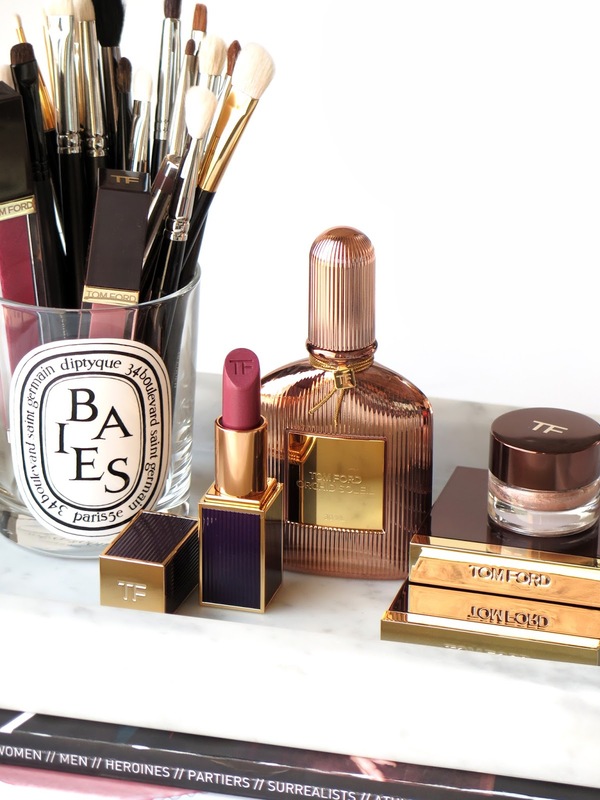 They look quite stunning on the counter top or dresser. Just looking at it makes me happy. The smaller size for me is ideal even though larger bottles are often the better buy. It takes me forever to use up perfumes and I like the look of smaller bottles because they take up less counter space. Bottom line a winner, especially for spring to summer. It has a lightweight airy quality with the perfect mix of fruit and floral to brighten the mood. In addition it also has an aquatic feel with the sea salt and fennel. 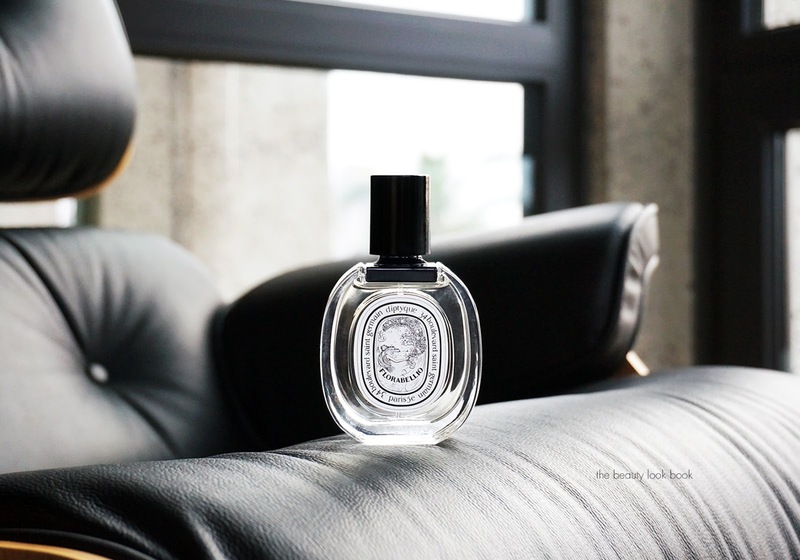 It’s something I find unexpected from Diptyque because of the lightness but I really like it. Lasting power is medium on my skin. It’s not as strong as Frederic Malle or L’Artisan on my skin, but I would say it lasts about the same on me as Jo Malone or Tom Ford. It stays on for a few hours and fades nicely as the day progresses. I can still smell it on me by late afternoon but I have a very sensitive nose. I love that it’s a sweet floral without being too floral or too sweet. It’s difficult to describe but very lovely. You can find Diptyque Florabellio now in stores at Diptyque retailers and online at Nordstrom, Bergdorf Goodman, Space NK, Barneys New York, Saks Fifth Avenue and Diptyqueparis.com. Available in two sizes 1.7 oz for $90 and 2.4 oz for $125. P.S. The Space NK Discover promotion happening now which allows you to save $20 off any $75+ order online, it’s going on through April 26th. Details and code here (US Only). Have you tried Diptyque Florabellio yet? What did you think? Do you have a current spring-time favorite fragrance right now? 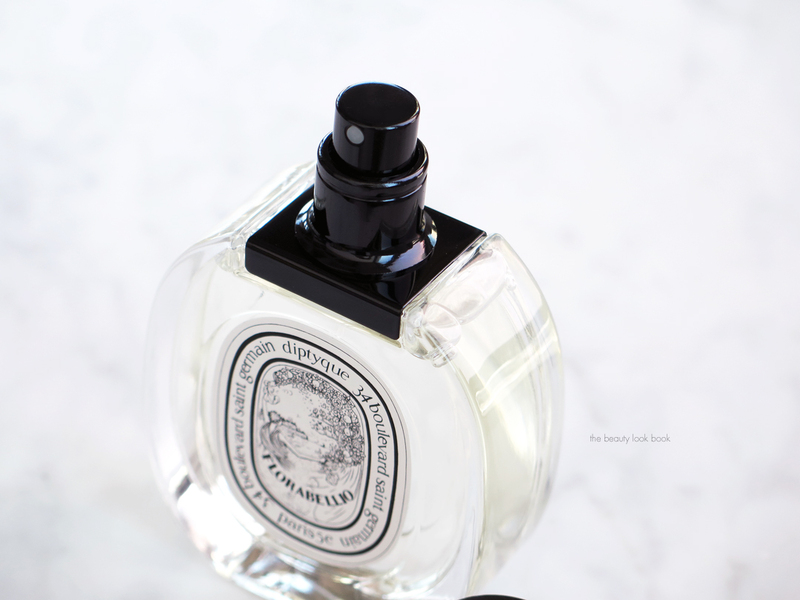 Diptyque Florabellio in this post was a press sample sent for review consideration.